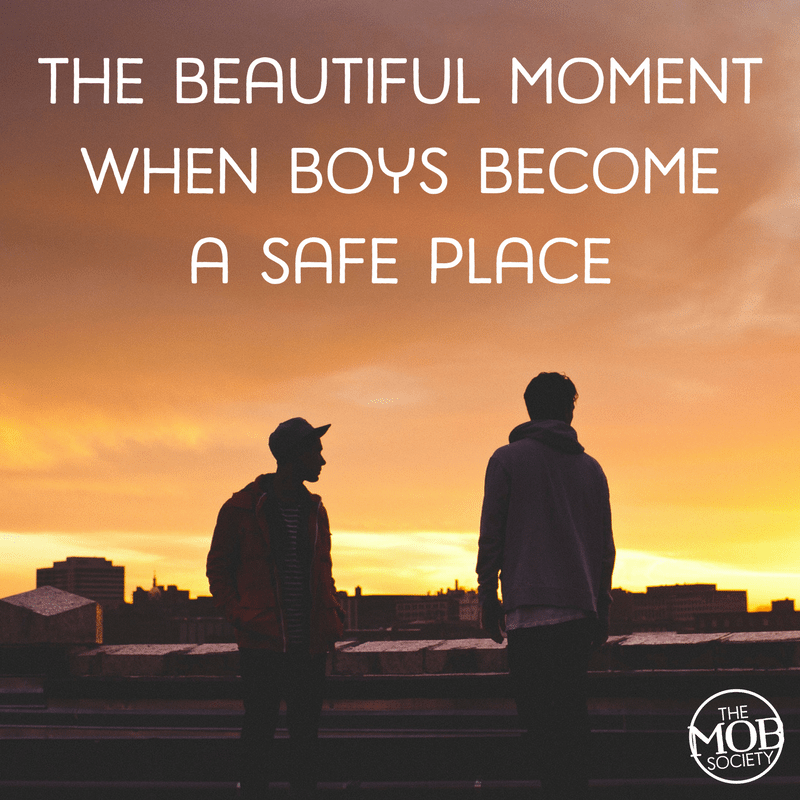 Boy moms get to see sons move from finding a safe place to being the safe place. 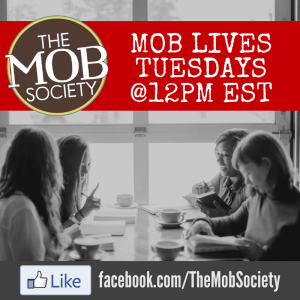 In the little-son years, no one has to teach a mama the urge to protect her own. Our hearts hurt when they hurt. Our eyes weep when they weep. Our arms open when theirs reach out. But from the moment our boy snuggles into the curve of our neck to nuzzle in the pure pleasure of peace found in our embrace, they grow the strength and independence and trust to be a safe place of their own for others. It’s a beautiful transformation. Experience and wisdom teach many of us that God is our ultimate safe place and our protector in trials. As we create an earthly refuge for our boys, they learn the value of comfort. We pray they learn the precious nature of finding true safety in trustworthy God as they see us trust Him. Our hearts hope for them to stand true in testing, but we cringe at the thought of their tests. Mamas want to keep their little ones safe from harm and hurt. But one of the best parts of being a mom comes when tests come, and we see sons move from finding a safe place to being a safe place. We had planned for months. Three countries, three ministries, and a rare chance to take our two teenagers to serve as a family. Final details filled pre-trip hours Sunday morning. 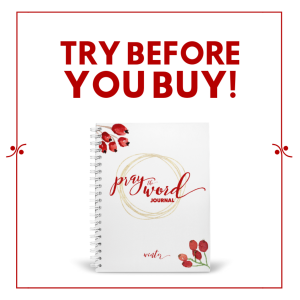 I was frazzled and anxious over my lingering to-do list. With Dad already gone, I jumped in the car and surged up our driveway, late to church. Remembering another to-do, I threw the car in reverse and pressed the accelerator. By the time I realized what I had done, the heavy, double garage door was mangled, dangling in mid-air only hours before we left the country. How did he get so tall? Become the protector? Learn to be the comforter? Become confident to trust? 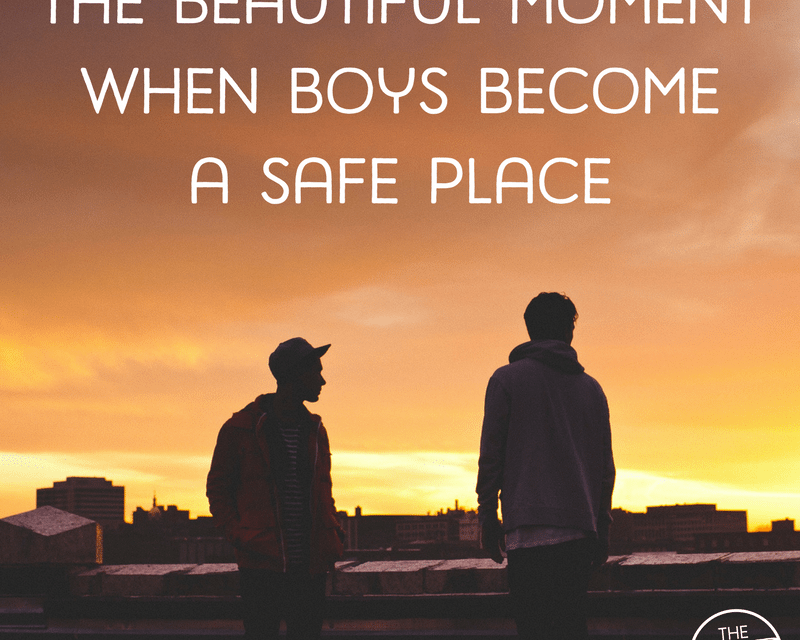 When did the boy who ran to me for a safe place become the safe place? 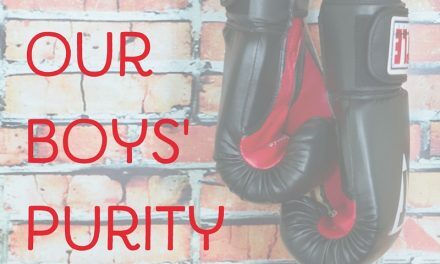 One day our boys will “act like men, be strong.” It will be a beautiful day, and we will see our sons move from finding a safe place to being a safe place. The door still dangled. Insurance was informed. The plane took off. It wasn’t cheap. But the greatest treasure was discovering my small son was now my strong son. One I once protected now protected me. One I once comforted now comforted me. Arms that reached out to me now embraced me. He grew into a safe place, ready to protect and care for others. It was one of the best moments of being a boy mom. How can you use the words of 1 Corinthians 16:13 to pray for your boy?